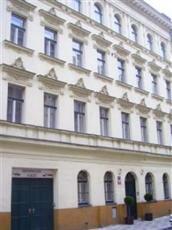 The Residence Kamenicka is situated in the nice quarter of Holesovice, not very far from the city centre of Prague. Guests can easily visit the Letna and the Stromovka parks or the Gallery of Contemporary Art or the famous zoo of Prague. All the rooms make you feel welcome, warm and completely at ease within the gracious setting that has been created for specially for you. The property also offers apartments, which are fully equipped and feature completely furnished kitchens. Guests can start off their day with a tasty breakfast served to them in the breakfast room of the hotel. For other dining needs you can visit a wide variety of restaurants in the local area and delight in deliciously prepared meals.